*phew*, have made it to Adelaide and picked up the keys to my new house. It was a pretty long drive, leaving at 07:00 Victorian time and arriving 15:00 South Australian time. 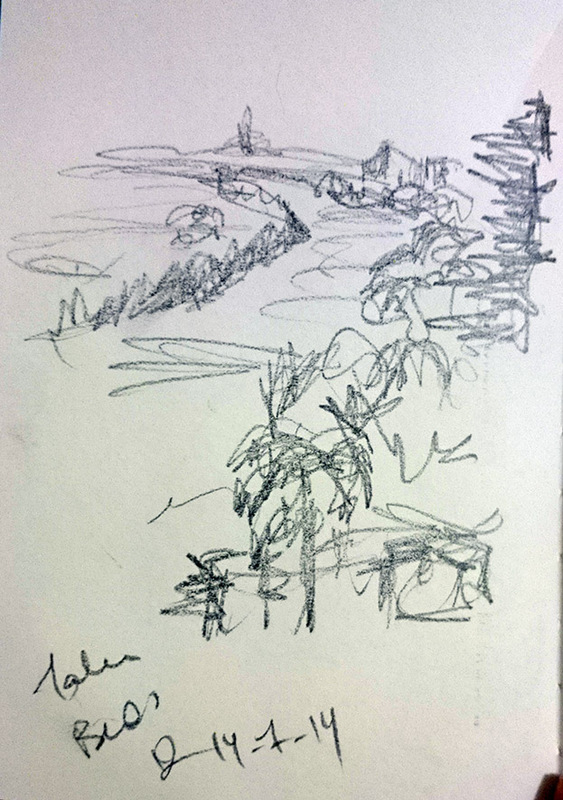 I stopped off at Mt Gambier, then again at Keith and Talem Bend for sketching breaks. This one is v.quick sketch of the bend in the Murray River.